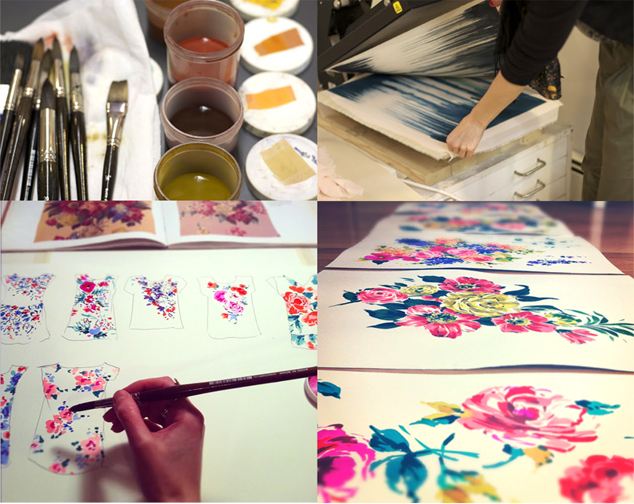 Florals in textiles- Take a basic class. Exciting news! 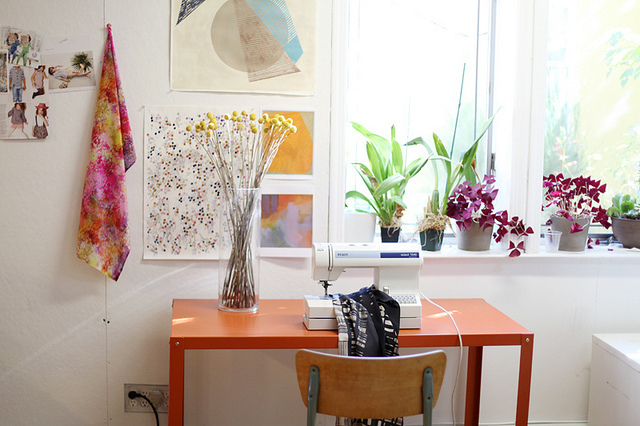 I'll be teaching a few classes at the Textile Arts center this spring/ Summer! There will be a weekend course on April 6-7th at their Brooklyn location, and June 1-2nd at the Manhattan center. 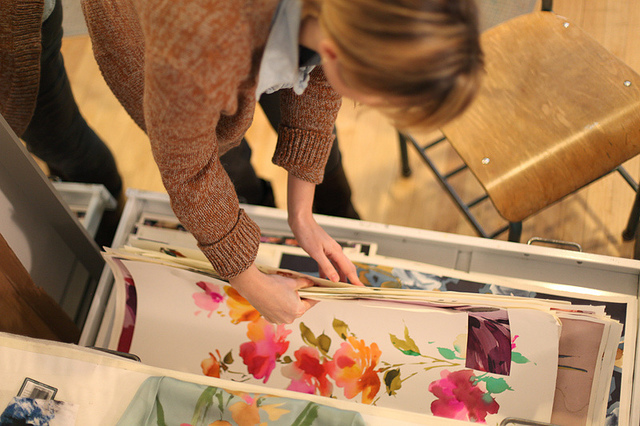 In this 2-day weekend intensive, students will be given an introduction to the use of florals and organic form in printed textile design. Day One will be spent working from floral still-life arrangements and 2-D inspirational tears to create a piece of painted artwork, as a start point for pattern design. Using the artwork on Day Two, we will look at how to 'pull' from form, color and composition, and use it to create basic textile prints. There will also be the option to create a small fabric swatch of the students design, using disperse dyes and a heat transfer press. Beginners welcome. Basic knowledge of textiles, printing and repeat are suggested. 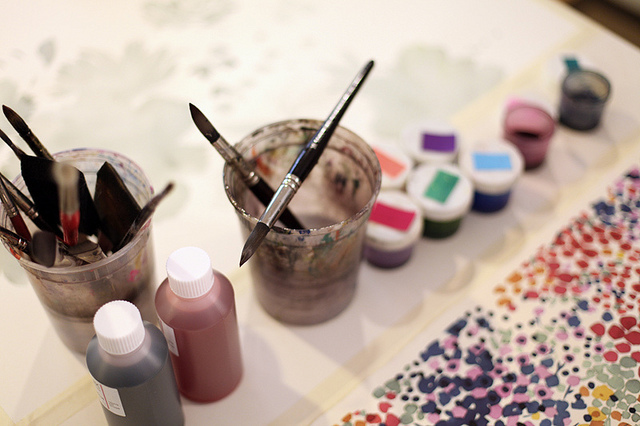 You should have interest in drawing, design and pattern. I'd love to meet you, come take a class! 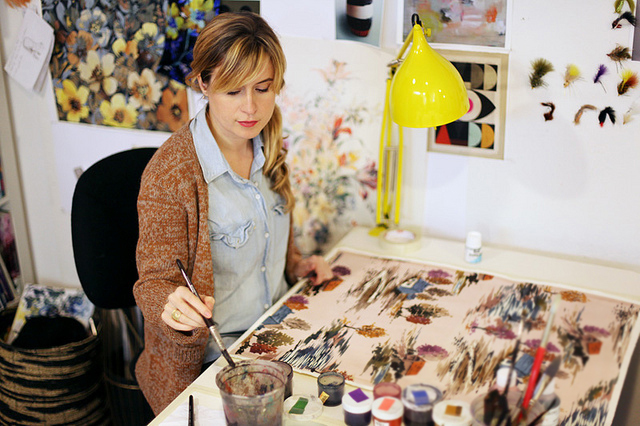 A studio visit for Martha Stewart Living. 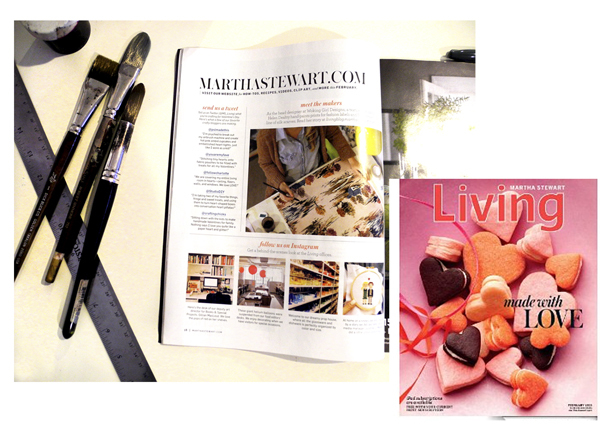 I was recently interviewed by one of my favorite designers, Jenny, for her guest blog on Martha Stewart Living. Take a look at the full post here for a little more about my process!